Here we have this fantastic Toy Story alien "Pixar Animation" tee, which is only available at the Pixar Studio Store in Emeryville, California. A huge thanks to my good friends over at PixarPost.com, who generously picked this up for me during their time there at the recent Inside Out press event! I was so thrilled to receive this as it's the closest thing I have to actually going there. Much appreciated! 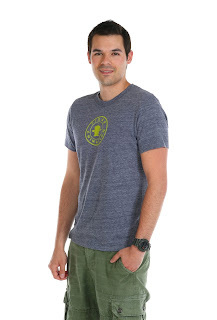 This t-shirt is perfect for me. 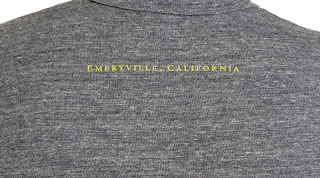 It's the exact style of tees that I love; it's a thinner material, is super soft, has a simple, minimal design and has a nice, slim fit. 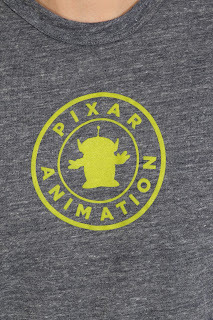 Highly recommended if you're lucky enough to get to the Pixar store or are able to find one on eBay! 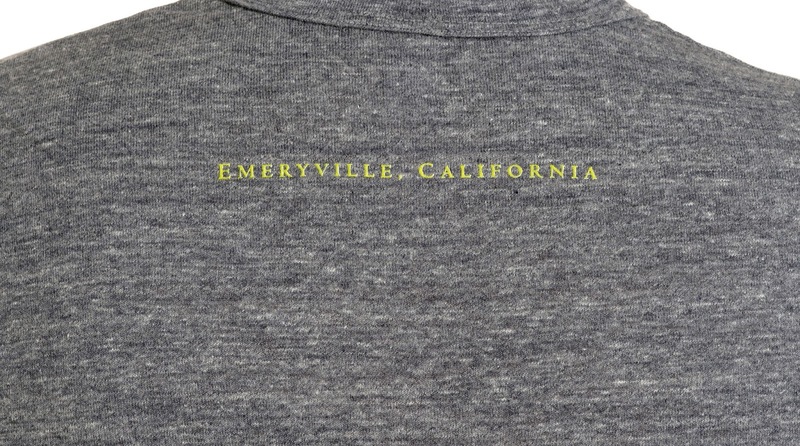 Love the very basic "Emeryville, California" on the back, since this is signature to shirts sold only at Pixar. As with anything I have from the studio store (since it's so limited), this will be a prized part of my collection.